This section contains material researched and compiled by individuals. The information does not necessarily pertain to one club, competition, etc. Don did much research on early cricket - including indexes of books on early cricket. Ernest wrote about minor cricket records in most of the early journals of the Association of Cricket Statisticians. 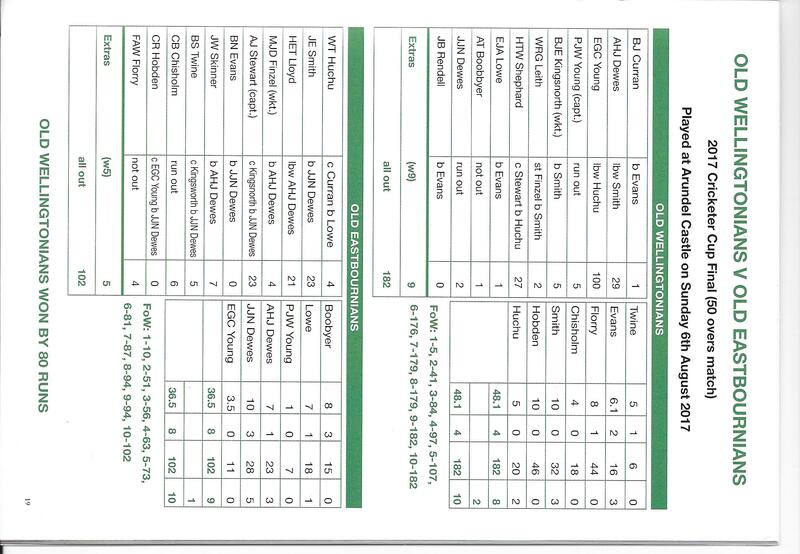 This is a set of "interesting scorecards" from all levels of cricket. Some are fragments that show a single innings (or part of an innings even) where something interesting took place, others are fuller scorecarads. Ernest compiled four versions of his Chronicle of Cricket. They vary in content and detail. During his research for the ACS books Cambridgeshire Cricketers and Northumberland Cricketers, Tony and his correspondents collected a lot of scores copied from local newspapers, books, annuals, scorebooks and other places. They are all shown here. 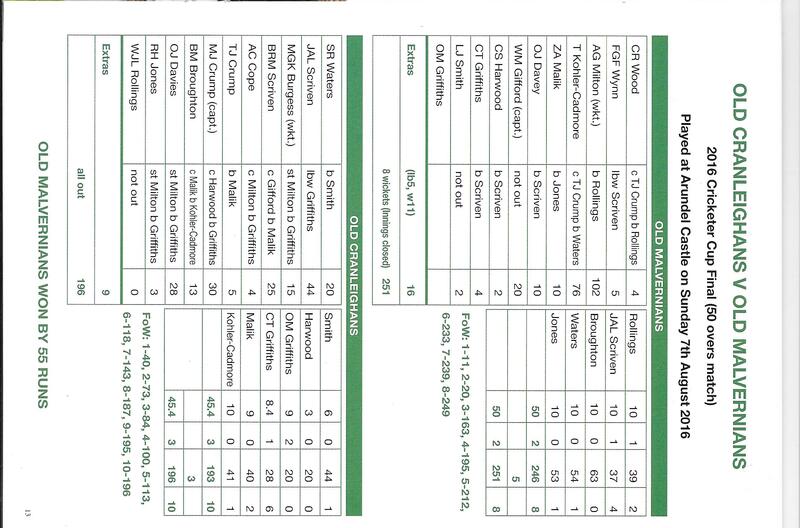 Note that printouts of scorecards from the websites CricInfo and CricketArchive are not includedunless they have changes marked on them. The newspapers have been through many processes to get to this point, tightly bound into books, microfilmed, printed, scanned, so not all of the images are easy to read. They are the best that can be done with the material that is available in Tony's binders. Because of the amount of material, Tony filed it in ring binders. Each ring binider is shown separately, although there is no significance in the split between binders other than chronological. Other material collected by Tony. Amendments to books written by Tony. A series of newspaper cuttings organised by county. Researchers should be aware that the information given for a county is not comprehensive - it is the information collected by Tony whilst researching a specific topic. Researchers should also bear in mind that newspapers often covered news from other counties too. A series of information on Minor Counties Championship matches organised by match. These are essentially the raw material for the books, showing related newspaper reports and iterations of research as the scorecard is updated with new or corrected information. A section of general correspondence about the Minor Counties Championship matches for the season. John Ward writes "I'm sorry but for some inexplicable reason the 1890 files have disappeared and at the moment, due to reasons byond my control, I cannot access The Times so cannot recreate them."